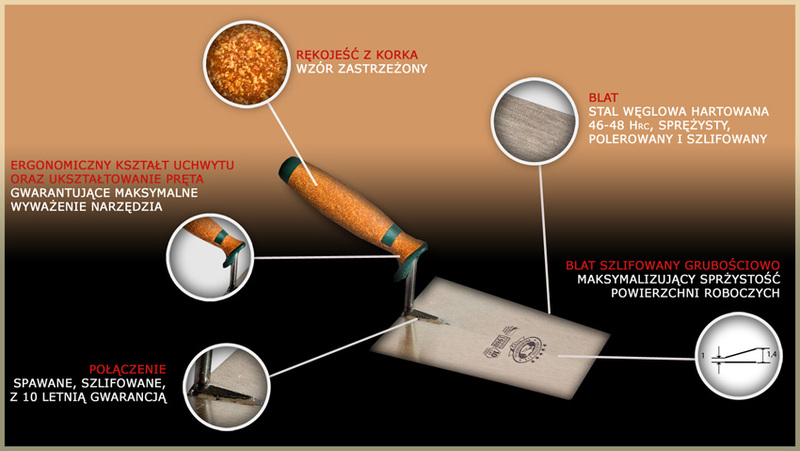 Made of oak bark , natural and breathable material causes,that the handle does not slip your hand, neutralizes skin sweating hands and prevents the formation of corns and blisters during long work. These advantages can hold the tool in the hand without the use of protective gloves. The rigidity and durability of the mounting bracket provides the interior of a hard plastic.